There can be different reasons as to why you might want a retaining wall on your property. For some people, the walls are primarily decorative, providing garden walls that emphasize the look they want for their landscape. For others, the wall serves a more important purpose, especially if your home is on a slope or an elevated surface. The retaining wall is necessary to provide you with an added layer of protection for your home and your foundation. While some people may consider this a DIY project, getting professional assistance with retaining wall construction in Los Angeles will ensure the wall is built correctly, safely, and with the best materials. Some homeowners may think that they can save money and build a retaining wall on their own. The problem is that undertaking a project like this without having experience and expertise could be dangerous for your home. If the wall is built incorrectly, you run the risk of causing damage should soil erosion or other problems occur. Building a wall of this nature correctly is a time-consuming project that could take you many weeks if you only have time on the weekends to work on it, and it could be costly to you when you buy supplies, tools, and the like. 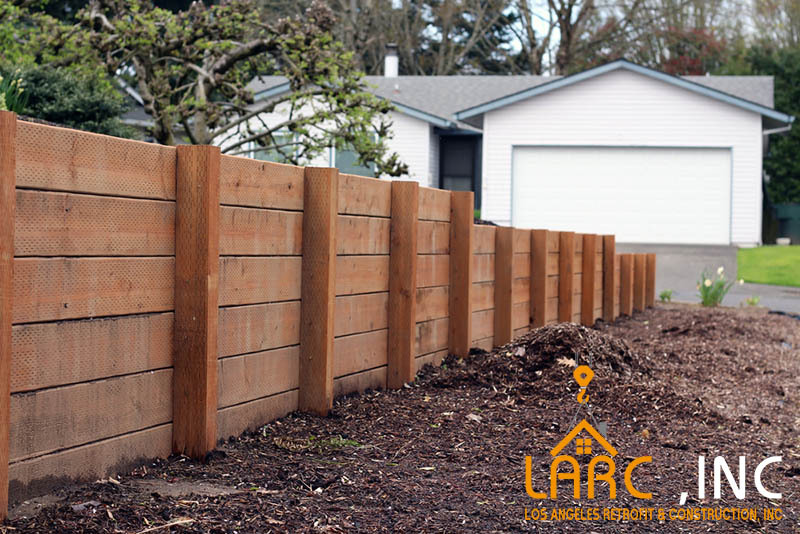 Turning to a professional service for retaining wall construction in Los Angeles is a much better option for you. A professional company will have the experience of working with retaining walls and can analyze your property and make the best suggestions regarding what will work well for you. The company will have a team of experts, the proper tools, and the know-how to do the job efficiently for you so that you know the structure is correct. Here at Los Angeles Retrofit and Construction, Inc., we can work with you on your retaining wall construction in Los Angeles. We are expert contractors and technicians that can build a wall that is best for your purposes. Additionally, we make sure that wall is safe for you and your home. Learn more about our services here on our website, or phone us at (818)635-4757 to ask questions or arrange for a consultation so we can discuss your retaining wall needs. If you want to send us a message, please use our online contact form or send us an email to larcinc@yahoo.com .